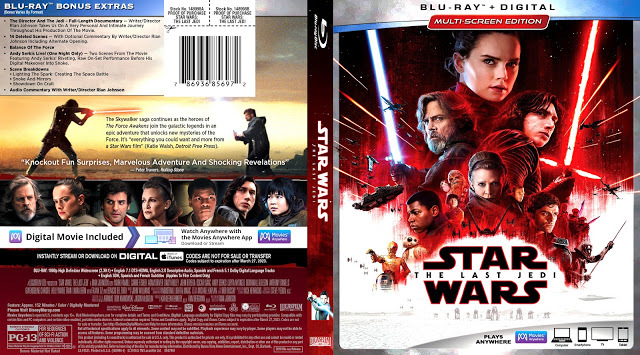 To celebrate today’s UK home release of ‘Star Wars: The Last Jedi‘ — available now at Zavvi — and the recent launch of the expanded novelisation, James Burns and I caught up with author Jason Fry to discuss all things The Last Jedi…. 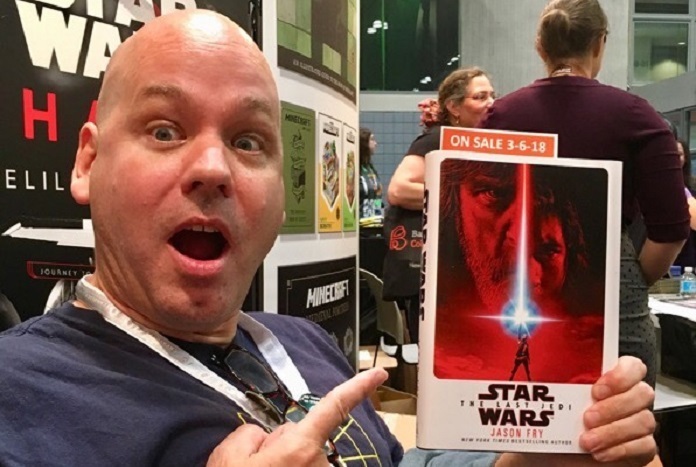 As a self-declared Star Wars fan who has gone from fan to author, can you describe the feeling when you were first approached to novelise The Last Jedi? Incredibly excited, with a bit of mild apprehension. I’ve been watching and reading stories about Luke Skywalker and Leia Organa for 40 years, and to adapt such huge moments in those characters’ lives was a big responsibility. But I knew I could handle it and was eager to dive in. I probably wrote the scene where Luke becomes one with the Force 20 or 30 times in my head before I got to it in the project, and the same goes for key moments with Leia. I love her as a character – she’s by turns steely and warm, with an almost superhuman sense of duty that’s taken an enormous emotional toll on her. And of course I was excited to take on the new characters as well. Rey, with her mixture of boundless hope and nagging self-doubt. Finn, an incredibly brave child soldier who shook off his programming but now must find a new cause to believe in. Kylo Ren, a damaged anti-hero trying to prove himself as a villain while longing for a connection to anything else. Poe, a swaggering pilot who needs to learn there are other ways to fight and lead. And intriguing new characters such as Rose and Holdo. By who, how and when was the approach made to you? Del Rey’s Elizabeth Schaefer offered me the gig in June 2016. Which meant I had to shhh until my involvement was announced at Comic-Con the next year. That was a long time to keep mum. What were you given by Disney/LFL to help you create the novelisation? I read several earlier iterations of Rian Johnson’s script. Rian told me to take anything from those earlier versions that I thought might fit – I can’t say enough how much it helped that he was so generous and trusted me with his story. I broke down the script into a big spreadsheet with every scene, including deleted scenes, proposed new scenes, and scenes that could be extended with additional dialogue from earlier versions of the script. That became the blueprint for not just my product but other adaptations – we made sure to reserve some material for Michael Kogge’s junior novelization, for instance. 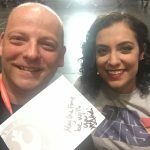 I followed that blueprint in my writing, though it wasn’t a straitjacket or anything – we dropped some proposed new scenes because they didn’t work, and added a couple as we went, including the emotional scene at the end with Leia and Chewie in the Falcon cockpit. Beyond that, I can’t say enough how much my editors helped. Not just Elizabeth at Del Rey, but also Jennifer Heddle and Mike Siglain at Lucasfilm, and the folks on the Lucasfilm Story Group. Jen and Mike came up with the idea for the Leia/Chewie scene, for instance, which is a lot of fans’ favorite in the book. And all those folks helped me with everything from making sure the characters felt right to figuring out where we could go into characters’ thoughts, backstories and motivations and where it was better to hold back. Was Rian Johnson involved in your creative process? I sat down with Rian at the end of July 2017 at Skywalker Ranch and we talked for a couple of hours. That was a huge help – among other things, Rian talked about how he saw the characters’ arcs, why certain scenes were deleted, and brainstormed with me a bit about how to translate some of the film’s visual storytelling to the page. But the biggest help Rian gave me was discussing how he’d tried to ensure the movie had “lift, not drag” – even when characters were wrestling with weighty matters or facing dark events, he tried to make sure the film offered a sense of adventure and fun. I made “lift, not drag” one of my commandments in adapting Rian’s story. I did most of the writing last September and October, with a few chances to revise after that. I got to see the movie in mid-November out in Burbank, which was simultaneously a thrill and left me reeling: it turned out there had been a number of changes to the movie’s sequencing and subtle but important changes to dialogue. So I did my best to incorporate those and to make some of the fight scenes align better with what was shown on screen – it’s tough writing fight scenes from a screenplay because so many of the specifics are worked out in production. After the movie came out, I was able to do some more tweaking, but we were up against our production deadlines. To make our March release date, we had to be done by early January at the latest. It was tight and there were some thrills and spills near the end, but hey, what’s Star Wars without an exciting climax? Was there any edits requested by Disney/LFL at any point? A few, but nothing too surprising or that I disagreed with. 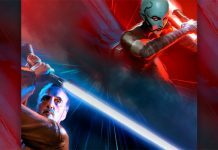 With any Star Wars project it’s important to strike the right balance between diving into characters’ histories and motivations and leaving future storytellers room to tell their own tales. Here and there we trimmed that stuff back, but I expected that. Probably the biggest change concerned the Master Codebreaker plotline. 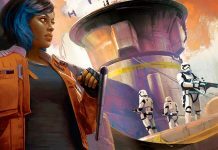 Rian’s earlier drafts had an extended sequence where Rose and Finn met up with the Master Codebreaker, who enlisted their help in a heist but was almost immediately caught by the police and hauled away. It’s the same record-scratch moment you get in the movie, only with some more build-up. I thought it would be really fun to use that sequence instead of what we got in the movie, but ultimately we all decided that giving readers an alternate sequence of that importance was too big of a departure from what a novelization ought to do. So we went back to the movie version. Still, I’m glad it worked that way. We tried some stuff and pushed the boundaries a bit and then retreated when we decided we’d gone too far. That’s the way the process should work, in my mind. It was a lot more fun than playing it safe and essentially transcribing the film. The original cut of The Last Jedi is said to be have been 3 hours long and we are lead to believe that this is the version that we will read in the book. A lot has been made about these deleted scenes, but how aware were of which scenes had been removed while writing? I knew about most of the cuts before I met with Rian at Skywalker Ranch, and found out about the rest then. One scene we discussed at length was the “father-daughter dance” scene in the Caretakers’ village. Ultimately I decided to include it in the novelization because I thought it was such an odd, lovely moment. The Last Jedi has split some of the fan base and deemed as controversial. 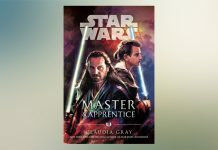 Do you think the novelisation could help fans understand Rian’s vision better and possibly ease some of those tensions? I loved The Last Jedi and will admit some of the negative reactions caught me off guard. But then I remembered that I’d needed some time to think the story through after I first read it – the resolution of Luke’s story was a surprise for me as well. But after a little reflection, I understood what Rian was after and came to appreciate it. This is a movie that warns “this is not going to go the way you think” and means it. At first it feels like it’s deconstructing the heroic stories we’re used to getting when we go see a popcorn movie. But ultimately, it reaffirms those stories – and Luke is the key to that. He starts off dismissively asking Rey if she expects him to go out with a laser sword and face down the entire First Order, and in the end he does exactly that. This isn’t to say people have to like the movie – they can think whatever they want. But I do hope fans who were initially skeptical have had some time to wrestle with Rian’s story, as I did, and come to appreciate it more. Maybe by coming out when it did, the novelization can help them reconsider it. Which of the characters in The Last Jedi did you enjoy writing for most and why? All of them, honestly. I’ve talked about Luke and Leia, who mean so much to me. I was a little limited in how deeply I could go into Kylo’s head, but I saw some opportunities to give readers glimpses into his childhood and how both Leia and Snoke saw him. Similarly, I had to play it close to the vest with Holdo because I wanted the reader’s sympathy with Poe (as in the movie), but I got to get inside her head as she prepares to sacrifice herself, and worked hard to make those reflections powerful and satisfying. I loved the rat-a-tat exchanges Rose and Finn had, and had a blast extending some of them so we could see more of their growing relationship. And it was fun exploring minor characters, such as Imperial officers, droids and even a ship or two. A lot has been made about some of the deleted scenes, did you enjoy bringing these to life? Sure! As well as some of the scenes I invented myself. That was an interesting responsibility. I looked at each potential new scene to make sure that I was writing it to try and enrich and deepen Rian’s story. That was my job, not to change Rian’s story or bury it in my own stuff. Keeping that in mind was a good check on the authorial ego. We expect that the novel will fill in a lot that the film just didn’t have the ability to do because of pace and timing, is there one thing that struck you as pivotal in the novelisation that was missing from the film. I don’t think anything was missing in the film. I looked for places where we could take a little more time, present a scene from a different point of view, or write something new that would deepen what was already in Rian’s story. For example, the prologue has attracted a lot of attention, which was gratifying. But it wasn’t written to address any conversation around the movie – frankly, even if we’d wanted to do that there wasn’t time in the schedule. It’s in there because I thought it served the story. Luke’s dream is an echo of the choices he’s made in coming to Ahch-To and cutting himself off from the galaxy, and a warning from the Force that he’s made a mistake in doing so. With the added advantage that it introduced the Force as almost a character in its own right, something I tried to carry through my adaptation. 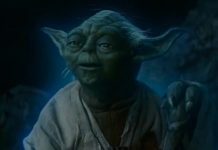 Were you asked by LFL or J.J. Abrams to leave any clues that point towards story arcs for Episode IX? Nope. I knew nothing about Episode IX during the project and know nothing about it now. That said, I was certainly aware that I was writing a middle chapter of a story that’s yet to be finished, and I was cautious about not stepping on anything that might be better explored in the concluding chapter. That’s why, for instance, you don’t get a lot of interior thoughts from Rey or Kylo after the throne-room duel. Those motivations belong to Episode IX. Was that a limitation? Sure. But I knew it going in, and respected the reason why it had to be that way. I’ll be as eager as everybody else to sit down in the theater two Decembers from now and see how this all winds up. Can you share what you’re working on next and if you’ll return to a GFFA anytime soon? I’m writing the fourth Jupiter Pirates book. For those who aren’t familiar with that series, it’s a young-adult space fantasy about a family of space pirates, set in a galaxy not so far far away. It’s not Star Wars, but it’s got a lot of Star Wars DNA – there are space battles, hidden treasures and family secrets. Please give it a try! I’ve got two Star Wars books on the horizon. Rose Tico: Resistance Fighter comes out from StudioFun in May, and continues the story told in Bomber Command. And I’ve got one more book on the way which I can’t talk about. With more to come I hope! Thank you on behalf of Team Jedi News, it’s been a pleasure speaking to you. Well, there you have it. 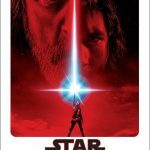 A great insight into the creation of the novelisation of ‘The Last Jedi‘ and how that process fits in with the production of the film itself. 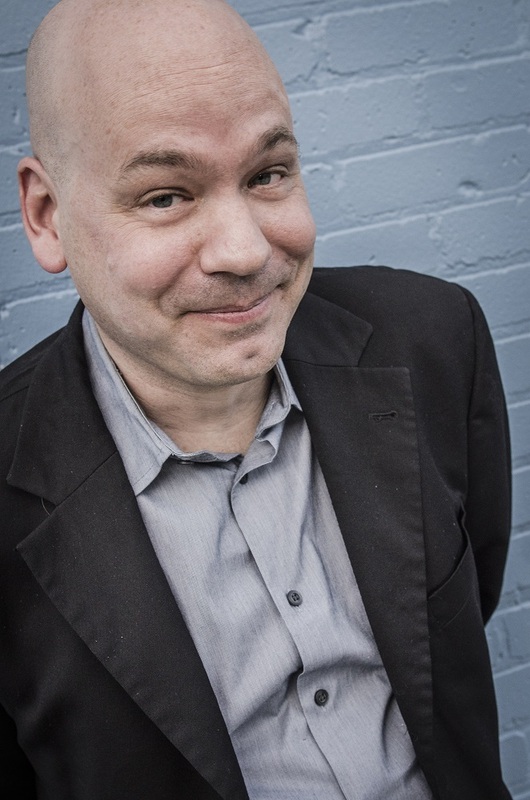 A big thank you to Jason for taking time out for us and to David Moench at Del Rey for arranging the interview. You’ll be able to hear this interview in full on Take Cover very soon. 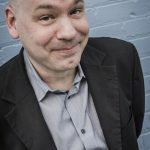 To learn more about Jason’s work past, present and future, please check out his website, follow him on Twitter or visit his Tumblr page for all his up to date news. 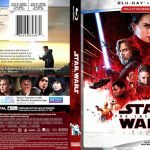 Star Wars: The Last Jedi is available from today in the UK on home media from Zavvi and all other usual stockists. 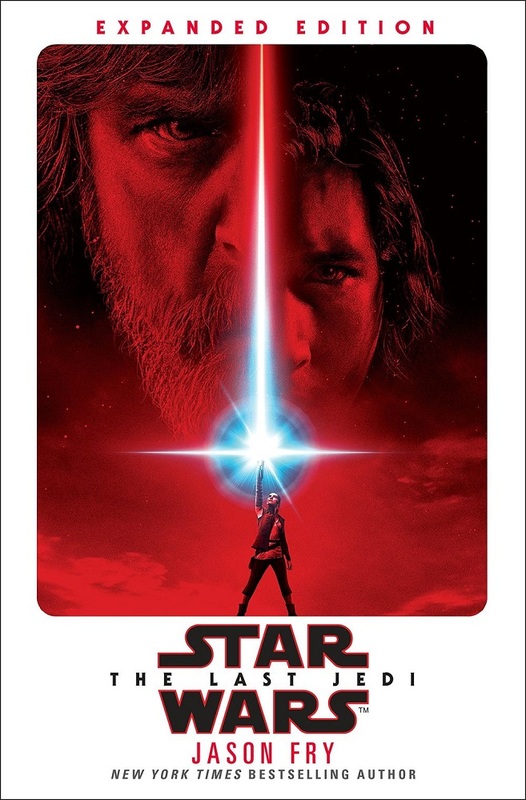 Star Wars: The Last Jedi was released in hardback on 8th March 2018 and is available at all good book stores and through online retailers including Amazon with a RRP of £20. It is also available in eBook and Audiobook formats.